Councillor Ingall said; “With just weeks to go before Brexit and with the Government still arguing with itself, there is no deal in sight adding to the uncertainty. 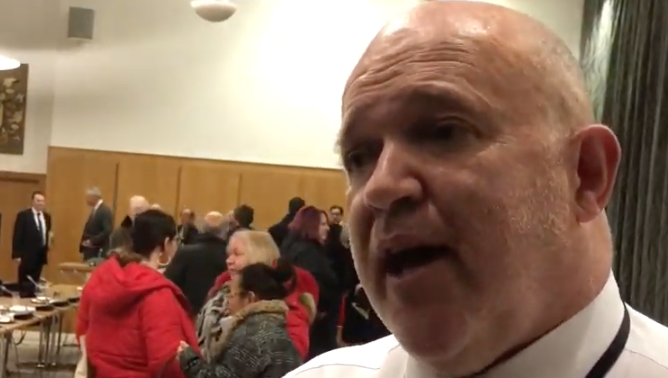 Councillor Ingall said that despite this government’s failings bearing down hard on Local Authorities, there was considerable good news in this budget for the residents of Harlow. Funding will continue to be provided for Harlow Carnival, Bonfire night and the fireworks display and Christmas lights in the town centre. The first increase in Councillor Allowances in eight years following the recommendations of an independent panel. The Budget was overwhelmingly passed following a vote by Members. Councillor Ingall said; “That all of this has been achieved, despite the national picture, with a below inflation increase of 2% in Harlow’s portion of Council Tax – representing an increase of just 9p per week for a Band C Council Tax payer – is a testament to Harlow Council’s sound financial planning, efficient management of income and expenditure. 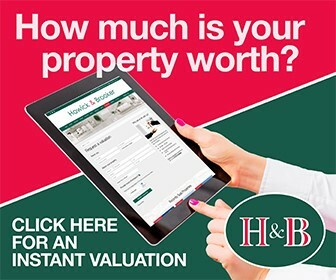 “It also reflects the benefits accruing to the Council from our decision to create a local authority trading company HTS, tasked with delivering environmental and housing services and returning revenue to Harlow for reinvestment in our town. Currently Essex County Council is proposing a 4% increase in its portion of Council Tax which will equate to £3.61 a month for band C Harlow Council Tax payers. 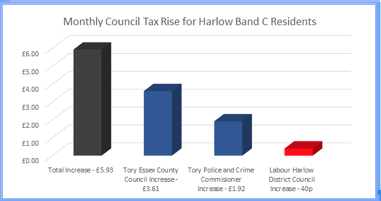 The Essex Police, Fire and Crime Commissioner is planning the maximum possible increase in the tax he takes from Harlow residents and this will equate to a further £1.92 per month from a band C Council Tax payer. Councillor Ingall said; “That’s £5.53 per month more that Harlow residents will pay the Tories in Essex while our increase here in Harlow is just 40p. And still they plan to close three of our libraries, leave our roads in a parlous state and fail to reinstate acceptable levels of policing on our streets.